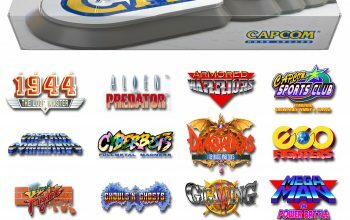 Another installment in the series, again with a wide array of games for every gamer! We must stress: the games are in no particular order. To see the games 1 – 10, please click here. To see the games 11 – 20, please click here. To see the games 21 – 30, please click here. To see the games 31 – 40, please click here. To see the games 41 – 50, please click here. Back in 2007, I remember the first time I saw Call of Duty 4: Modern Warfare. I was casually browsing through my local newsagency as you do until something quite literally caught the attention my eyes. It was the cover of Xbox 360 Magazine with Call of Duty 4: Modern Warfare splashed across the front page and I have to say, I was quite literally lost for words. Here was a video game franchise that surprised almost everyone. 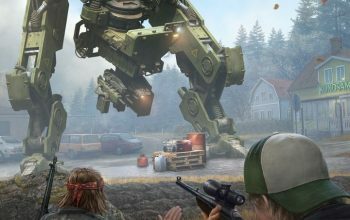 Call of Duty, a video game franchise that had been built around World War Two, was now stepping up into the modern warfare of today. As I flicked through the pages of that magazine I was absolutely astonished, not just on how the game looked but more importantly where the game was going to be based around the current ongoing conflict in the Middle East, or so I thought… of cause this was not the case. 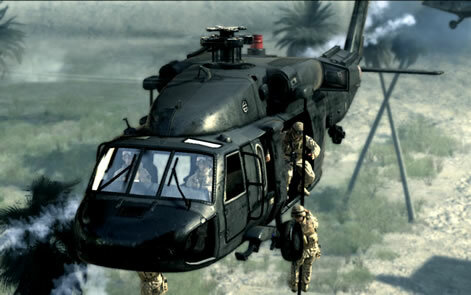 Call of Duty 4: Modern Warfare brought to gamers the gritty feel of conflict in the Middle East (although fictionalized greatly) with a plot that could boldly stand on its two feet, with its fair share of very memorable moments. I will never forget that mission where you sneak through Chernobyl on an assassination mission with Captain MacMillan in ghillie suits. The game brought with it a breath of fresh air into the stale first person shooter genre of 2007. 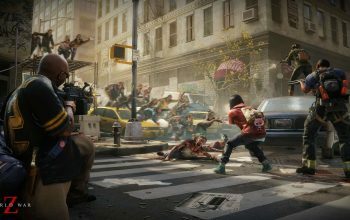 It single handily revolutionised competitive multiplayer where players could kit out exactly how they wanted to play beforehand with perks, weapon attachments and upgrades along with a in-game kill streak reward system. As it turned out, Call of Duty 4: Modern Warfare proved to be one of the biggest games of 2007 – rivalling that the fabled and much-hyped Halo 3. ‘CoD 4’ as it soon became to be known as by fans worldwide, proved not only that modern shooters could be done but they could be done in such a polished, well crafted and presented in such a realistic way. Remember that this was a time when most first person shooters where either bogged down in the been-there-done-that of the World War Two genre or cheesy futuristic sci-fi territory. Which is why I suppose Call of Duty 4: Modern Warfare was just so successful because it completely smashed this established mould. Many might argue that during the 90s, Blizzard held a monopoly on the RTS genre, with the crazily popular StarCraft and WarCraft, but Ensemble Studios took the genre and grounded it in history with Age of Empires. 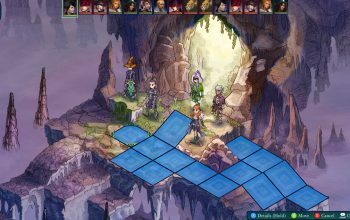 The game is a fairly archetypal strategy game, keeping balance by basically reskinning the same types of units across each civilization. After the first game’s release in 1997, many strategy games responded by turning to the historical theme as well. 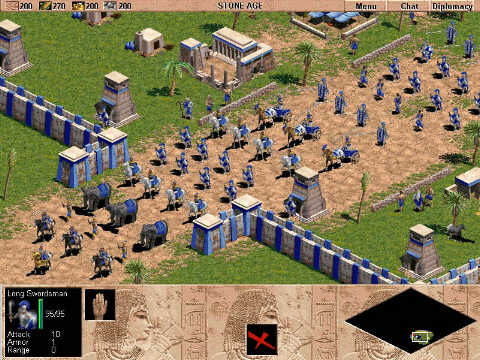 Age of Empires was praised for its historical content, although it’s appropriated and simplified, so it doesn’t bog the game down into a history lesson. It was divided into twelve playable civilizations, and play involved progressing through four technological ages, gaining access to newer abilities, units and upgrades. With a stronger focus on resource management and a sophisticated yet accessible setting, Age of Empires is an RTS even my high school English teacher used to encourage us to play. 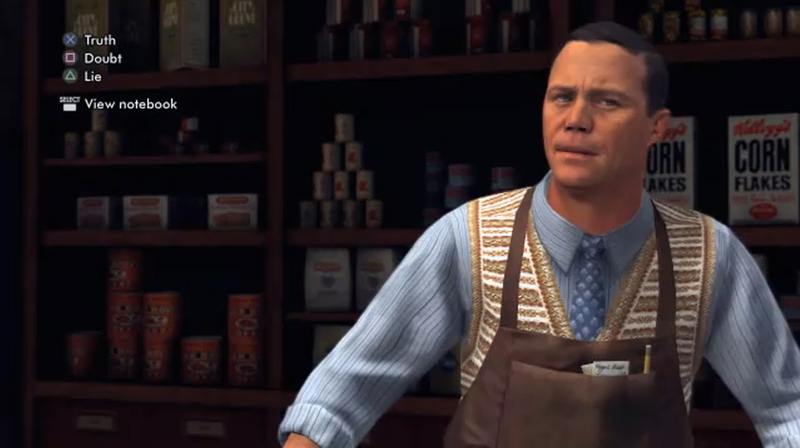 I will never forget when I first saw the trailer for L.A. Noire. Having been a huge film buff all my life, I was both intrigued and terrified at the notion that Team Bondi and Rockstar were translating the iconic silver screen noir era into a new style for gaming. Needless to say, the game nailed every single aspect and proved that video games can be art forms. L.A. Noire is aesthetically beautiful, with cinematics so realistic it puts Square Enix to shame. It’s engaging, with moments of interrogation which require a skillful eye and attention to detail. 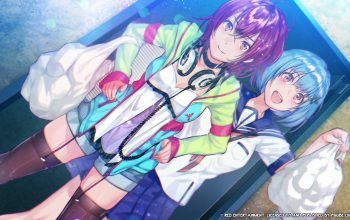 And lastly, the narrative is filled with intriguing characters, sub-plots, deception, murder, war, love, and everything else you could hope for – and it’s all bundled into one title. Team Bondi and Rockstar really created a game that would change other games. L.A. Noire is worth playing for its cinematic qualities, its brilliant and engaging tale, and – above all else – because it is so different from anything we’ve played before. Bloodwych is a dungeon role-playing video game developed for the Amiga, Atari ST and MS-DOS. It was developed by Image Works from 1989 and is very similar to games of the time such as Eye of the Beholder and Dungeon Master. Bloodwynch had me hooked for hours on end, I honestly can say that this game was one of the first RPG’s that consumed my life. Bloodwych was absolutely remarkable for a game released in 1989, just the sheer scale of its maps had me getting out the old D&D map grid paper to ensure I wasn’t getting lost because it didn’t have an auto map feature that most RPG’s have today, making Bloodwynch even harder to play as you’d really need remember where you were going or you’d end up lost resulting in lots of cursing and yelling at the computer screen. I was quite young when I ventured into the dungeons with my four champions. I must say Bloodwynch took me what seemed to be an eternity to complete. I honestly believe it took me close to a year to finish as I’d take huge breaks and go off and play some other game then when I was ready to take on the next maze / puzzle I’d get stuck into it again. The plot to Bloodywnych isn’t too complicated, you get to pick champion of Trazere then what you do is wander the halls in search another three worthy champions all with their own strengths and weaknesses (I must admit I did start the game over a few times to find the perfect blend of champions, which if memory serves me correctly, I finished the game with a fighter, a thief and two magic users both from different magic classes and spells) After recruiting your three fellow champions, the journey begins and you embark on your adventure traveling through dungeons and mazes fighting creatures along the way till you reach the “Towers” where fun really begins. Here you given the task of collecting crystals that will be used to destroy the evil Zendick and his associates and banish the Lord of Entropy for eternity. Bloodywynch was available on a number of different platforms. It’s now near impossible to get unless you pick it up on eBay, best bet would be to obtaining a copy on PC and hope to the gods that you can play it in MS-DOS compatibility mode. If you have the time to sit down and draw maps and take on puzzles that will challenge you to no end, then Bloodwynch is a game you should play. If you enjoyed Dungeon Master and Eye Of The Beholder, then give Bloodwynch a go as this game is as good or if not better than both of those other two titles. The original Soul Calibur revolutionised the fighting game genre with it’s 8-way run, and Soul Calibur II features everything that made the original so amazing, from its insanely epic soundtrack and impressive graphics, to its remarkable presentation and polish, to it’s intense depth…that goes even deeper. 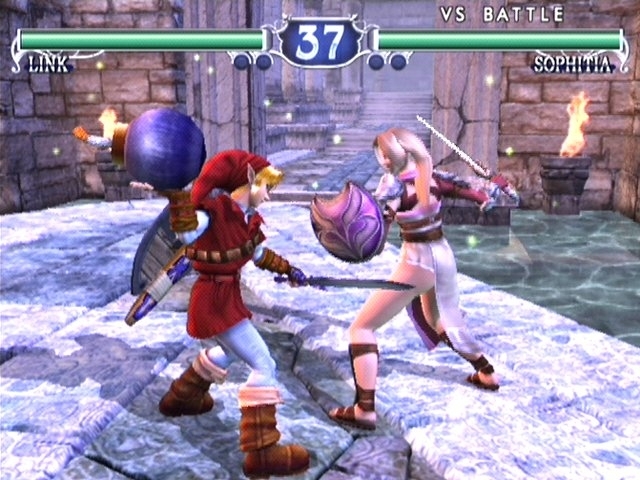 Soul Calibur II allows players to be as devastating as they can be with it’s focus on playing aggressively defensive with a guard impact system, step and avoid systems, guard break attacks and the clash system, while new players could feel like pros straight away with it’s easy pick up and play combos and fast-paced gameplay. However these are present in most Soul Calibur games, so what makes this one so special? Soul Calibur II was the title that arguably popularised the idea of making console exclusive characters in fighting games. Xbox players got Spawn from the DC comic book series, PlayStation 2 owners got Heihachi Mishima from Tekken, but it was Gamecube players who got the winning fighter-Link from the Legend of Zelda. Still to this date I’ve never seen Link look or feel better, and he truly brought a unique aspect the game and arguably stole the show. I know it sounds biased, but as a loyal Nintendo fan it blew me away and felt like the greatest fan service ever. If your a fighting game fan, you need to play a Soul Calibur game at least once, and if your a Nintendo fan, you need to play as Link in Soul Calibur II at least once. Why can’t Nintendo just make a Smash Bros like this?! 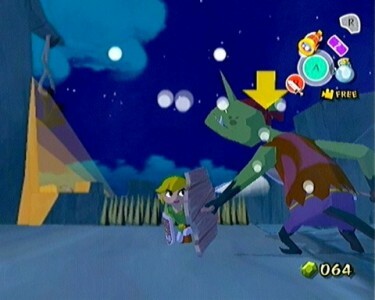 The Legend of Zelda: The Wind Waker is a perfect example of Nintendo at it’s finest. They took many risks with this game and it all turned out splendidly. After spending 2 revolutionary games establishing him as an adult, Link is once again a child, now travels by sea rather than by horse, and most importantly is now cell shaded. 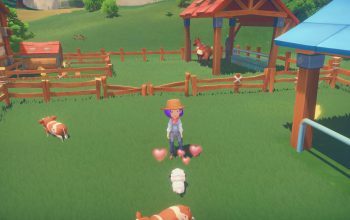 Nintendo fans were shocked, many upset with this controversial decision at first, but upon playing it became clear that Nintendo had constructed one of the most beautiful virtual worlds in video game history. Almost a decade down the track, still very few titles have been released that can rival the innovation of art style, the detail of the world and level design, and remarkable character and charisma as The Wind Waker. It’s true genius when you think about it-Nintendo took the control scheme and concept of The Ocarina of Time, the predecessor considered to be one of the most revolutionary, innovative and greatest games ever made, polished it further, improved on almost every aspect and gave it a innovative art style that was seldom, almost never seen before in video games to blow people away….again! Developed by the now defunct Pandemic Studios, Battlefront 2 had everything that made Star Wars great: Jedi, epic battles and a great story. 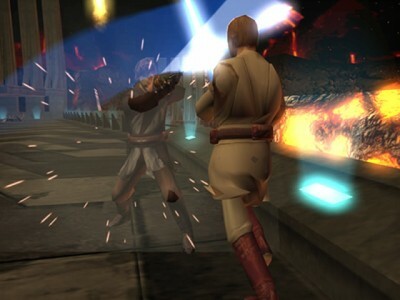 Even today, many people still play this game online and offline because it had some of the best arena battles this side of Endor. Battlefront 2 was and is the only game where you can actually feel like you are a Clone Trooper or Storm Trooper as you kill all the weakling rebels. And unlocking a Sith or Jedi is not just some lame powerup. It can turn the tide of battle and make you feel a like a total badass. 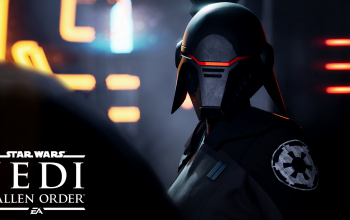 Overall, this Star Wars game rates up there with the best of them as one of the most finely tuned and most beloved Star Wars game out there. As a matter of fact, I just played about 10 hours of it last week on an aging PS2. This game is a classic and will always be remembered. Please, please LucasArts: bring out Battlefront 3 and bring out a HD remake of Battlefront 2. 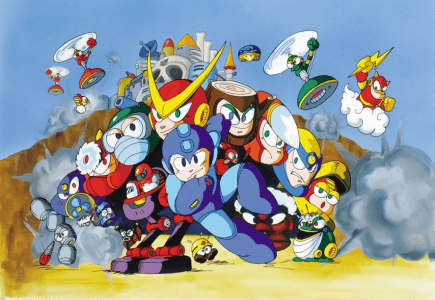 If we use the way back machine and go all the way to 1989 we’d find a young version of myself obsessed with Mega Man 2. Talk about a life changing experience, I was so entranced with it I would run through the entire game several times a week. To this day you can still randomly find me humming the tune to the Metal Man stage. It’s hard to explain how much of an impact this game had on me, my friends and the industry as a whole. 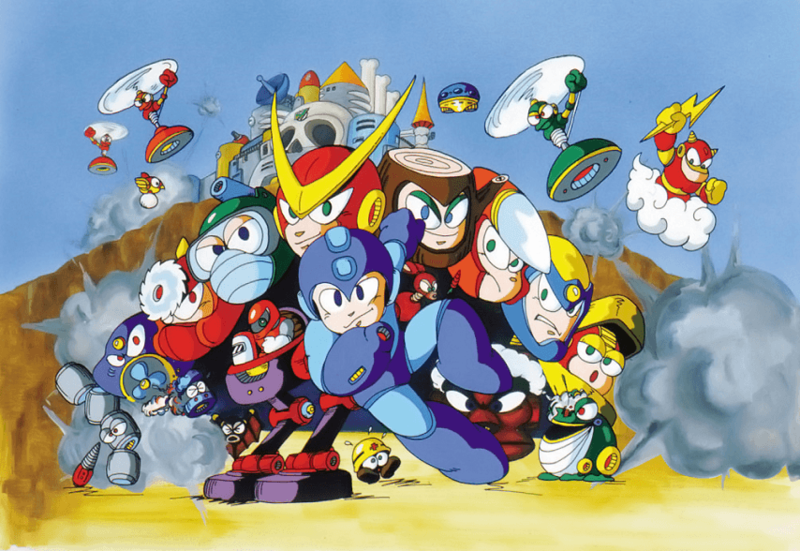 Mega Man is the character he is today because of Mega Man 2. 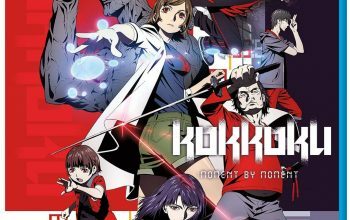 The first entry in the series was not very successful and Capcom wasn’t immediately in love with the idea of Keiji Inafune, the series producer/creator going into development of a sequel so he and his team basically had to work on their own time to get it done. What we have is a pure passion project that holds to the test of time. Mega Man doesn’t just shoot plasma with his mega buster. He shoots love. Jump Ultimate Stars is one of those niche titles that while only appealing to a certain fanbase can actually be enjoyed by anyone. 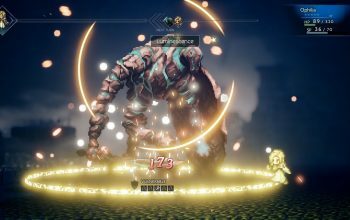 The game is heavily aimed at anime fans. Which is obvious in the fact that it takes hundreds of the most popular anime and manga characters and throws them together in all out brawls. 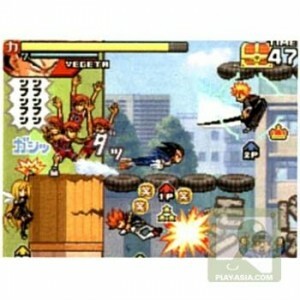 But it’s not the fact that it revolutionized anime games – it revolutionized handheld fighter games. 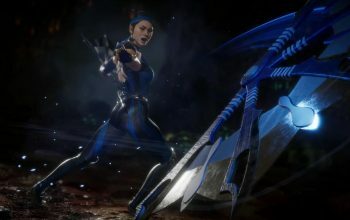 With it’s unique approach to fighting that wasn’t reliant on button combinations but instead upon card combinations (a method replicated many times since in other games), that feels both fresh still to this day and absolutely streamlined. 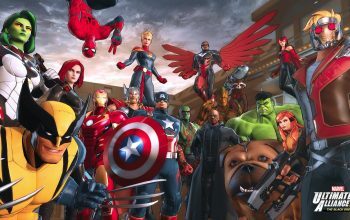 There is so much fun to be had here and a cast of hundreds of characters to unlock, with each being upgradable. It is indeed a game to play before you die. 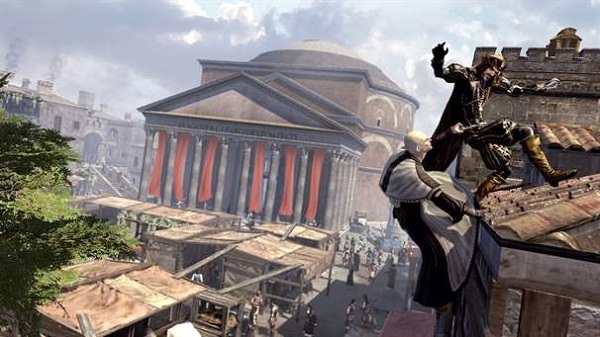 Although I enjoyed Assassin’s Creed 1 & 2, Brotherhood was truly the defining title in the series. The narrative within gave us yet another glimpse into the life of Ezio and stayed strong until the very end, but story almost didn’t even matter compared to the newly added multiplayer features. Brotherhood‘s online mode allowed for players to track down each other among hundreds of identical NPCs. Once you received a contract, it was then your job to make the hit on the correct target without killing an innocent. Think Where’s Waldo, but with lots of blood and no annoying man in glasses. 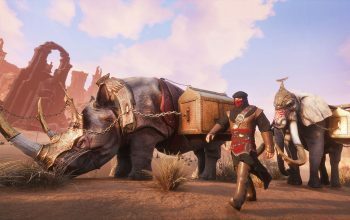 The experience as a whole felt fresh to the usual shooter brand of multiplayer, and the risk Ubisoft took has now paved the way for developers to think different when it comes to crafting a satisfying online experience, which is a huge achievement in itself.